Ridika is one of the new online casinos that launched in November 2017 and has since proven that they have what it takes to become a great online casino. Obviously, the gaming experience is an important factor in making an online casino great. The online casino offers great slot games from known software providers like NextGen Gaming, Novomatic, Nektan, NetEnt, Gamescale, and even Thunderkick. With the games you play, you are entitled to receive points that you can actually exchange for rewards – something that changes every time so you need to keep yourself updated. The slot games come in thousands – with various themes and great graphics. The games are stored by category – which makes it easier to look for the right game to play. The site continues to add games and update existing ones to make the gaming experience even better. Games like Planet of the Apes, Copy Cats, Go Bananas, Devil’s Delight, Fisticuffs, Wild Rockets, and Fruit Shop are only a few of the slots that you will encounter in this site. It also has the usual table games like Blackjack, Roulette, and Poker. There is an option to play the live casino games – which makes the online casino experience all the more appealing. There is a web camera that adds to the excitement of playing online. All of these are also available through Android or iPhone devices. Players can use the same account and login details. 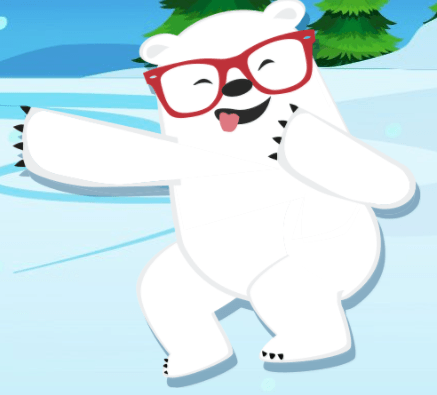 This innovative online casino boasts of various features – like the bear that serves as the Ridika mascot. The site has a Beartown that players can visit and a Market that will allow them to complete achievements that will, in turn, become gifts. The whole site offers a whole new world of gaming and it increases the experience of the players significantly. Their online program allows players to track points and see their rank in the community. Just like other online casinos, Ridika offers various bonuses and free spins but it does not make sense to dwell on that because it changes from time to time. But nevertheless, each time is just as generous as the last. Signing up with Ridika is a fairly simple process. Of course, you have to verify your identity so future financial transactions will go as smooth as possible. Navigating through the site is easy as well. If there is something that you need, you can easily find the right button to click. The payment methods are simple and direct to the point. You can make a deposit or withdrawal through credit cards, e-wallets, or direct bank transfer. Among the specific options include VISA, Skrill, EcoPayz, Neteller, Sofort, MasterCard, etc. In case you encounter problems with financial transactions or technical issues, the customer support is available by phone, email, and live chat – in several languages. 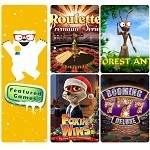 Overall, Ridika casino exudes a positive gaming experience. The simplicity of the processes, generous rewards, and the variety of games make for a great online casino combination. Question: What do I need to do to register an account? Answer: You need to go to the Ridika website and click the “Sign Up” button. Give all the information required like your name, birthday, and contact details like your address, phone number, and email address. You will need to verify your identity by submitting documents to prove who you are. Otherwise, you will not be allowed to make a withdrawal. Question: What game providers can be expected from Ridika? Answer: The multitude of games on this online casino are powered by the leading software providers in the industry. The list includes Betsoft, Gamescale, Spinomenal, Playson, Booming, Mr. Sloty, Fugaso, Gameart, Booongo, WHN, and NetEnt. Question: When can I use the money that I deposited in my account? Answer: Usually, the funds that you deposited in your account should be available within 24 hours, most of the time, it is earlier. This does not include the processing time of the payment provider you have chosen. Question: How long will it take to process my withdrawal request? Answer: The typical processing time for withdrawal requests is 5 working days. It will take longer if you have not yet completed the verification process. This verification requires you to submit documents proving your identity, age, location, etc. 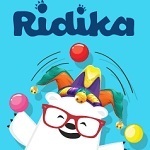 Question: Is there a mobile version of Ridika? Answer: Yes there is. If you have a mobile device or tablet with an Android or iOS operating system, you can access the online casino wherever you are. There is no need to download an app to play. You just have to open your mobile browser to get to the site. You can use the same username and password to access your account.